If we could call out two things that are growing in importance in 2018, it’s containers and compliance. Penalties for data breaches are on the rise, all the while organizations are under increasing pressure to expand their DevOps practices and increase their agility, which leads teams to turn to containers. And while containers usher in plenty of opportunities, they can lead to compliance headaches if they aren’t properly configured. 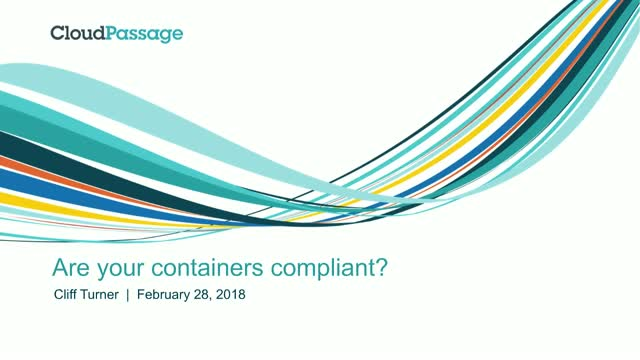 Join us for this webinar for helpful tips and best practices on how to create a containerized environment that works with your compliance needs. Title: Are Your Containers Compliant?